When I start a new pattern I must admit that I never really give a though to the cast on – it’s long tail or cable all the way for me. I was recently sent a book called Cast On, Bind Off and I finally realised just how unadventurous I was being. 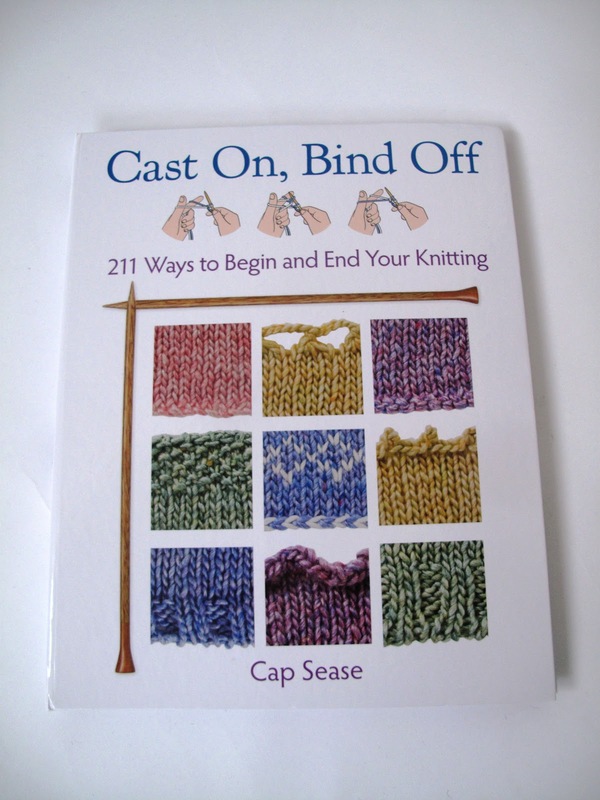 Cap Sease – the author – tells us that ‘there is no right or wrong way to cast on or bind off’ because each technique offers a different look or function. 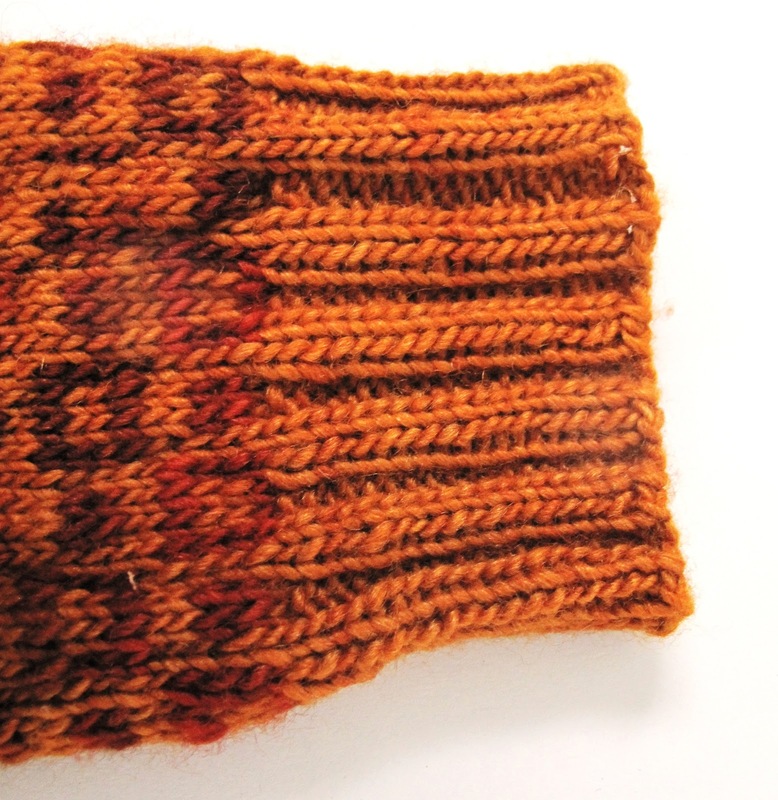 With each cast on or bind off there is a photograph of the results together with hand illustrations and a written explanation of the technique. With some of the more difficult cast on’s I found the illustrations a bit confusing but the combination of visual and verbal got me there in the end. The Decorative cast ons are a pure revelation and I can’t wait to try some of them out particularly the picot chain cast on. I am often dissatisfied with my cast on when I am ribbing so I found the section on tubular cast on’s particularly useful. Circular, provisional, lace, moebius (3 kinds!) sock – phew! And haven’t even told you about the bind offs yet! Casting off ribbing on my latest design, Klimt Squared Mitts had been giving me a headache – it was just not stretchy enough This gaive me the perfect opportunity to test the book out. The Ribbing (or flat chain) Bind Off worked spectacularly well as you can see. 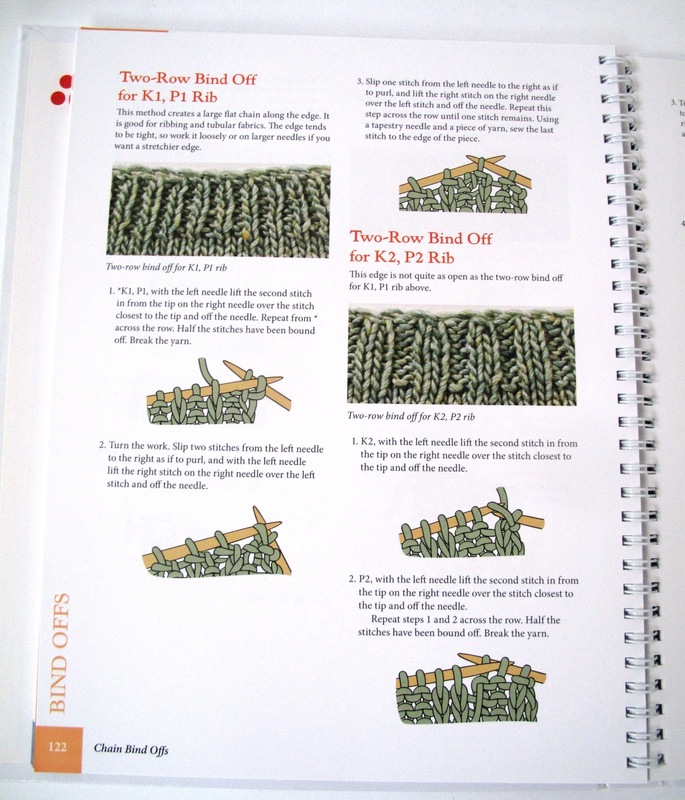 My favourite part of this book is where the author pairs up the cast on and bind offs so you get matching edgings. Finessing your work in this way is so satisfying and I would highly recommend this book for anyone’s Christmas list. My next review will be just before Christmas and I will be giving away a selection of knitting books.